Uh ohh, ,, you done gone and did it now. Let us find out that there is a tow truck driver in our midst and possibly at our disposal for a small fee. I can see it now, the work for you will never stop. Since you done put it out there, hit us up with the contact number so we can holla at ya boy!!!! LOL!!! gold GS with bandpass sub box who crashed into a woman then a parked BMW. just saw on NBC 4 news at 6.
better not have been anyone here to drive that bad. It's all good, BTW where in MD are you from. I'm in B-more,,when I am home. Just now... Sunday night at around 9.30 pm... on Queens Blvd. Very shiny Sliver 2nd Gen GS, with tint and a lower bodykit. With 20" wheels...and may I say, a perfect drop! sounds like tone's car but... he dont got tints unless he got them today??? not sure about the tint, but the interior was definitely very dark and difficult to see inside. What lucky white SC300 owner was graced by my presence on the highway today? Just saw you at about exit 19 on I-95 North Bound, blew past and then slowed down and turned my strobes on. Your plate was NY "LEX THIS". I like that purple tint by the way. Also, your tail lights on the inside are blown out, only the ones on the outside were running. *EDIT* come to think of it, i saw you at nyaristos bbq the other weekend didnt i? Saw the car didnt meet you. Last edited by 1loudLX; 10-06-06 at 07:18 PM. silver or gold (I'm wasted)gs400 with l-sportline kit and chrome wheels. 37th and 3rd saturday night. On sunrise Valley Drive, Reston, Va around 6pm. 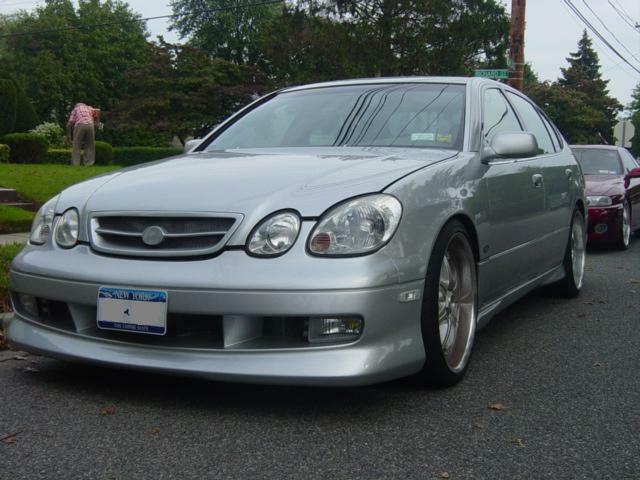 Late Model GS Silver sounded like ti was boosted. Nice wheels. Just got back from MIR spotted boosted IS Wagon and stock IS350 told them to check out the forums. I forgot your names guys sorry too cold to think ha ha. well, had no idea if it was modded or anything as i was going about twice your speed but, did i just see a CL member from Mass driving on 95 south? for some reason the car cought my attention more then other GS' i see late at night. Also, anyone in NELOC buy a 01+ GS recently? or at least put the tails on? Saw a black GS w/ a temp plate last night guy was sorta dip'n traffic after we got over the whitestone in all that mets traffic.